Cozy is a property management platform for businesses. Cozy’s solutions include online rent collection, tenant screening and renters insurance. Businesses can use Cozy to efficiently manage rental properties. Cozy does not charge for using their basic services. Tenant screening reports are charged at $24.99 individually or $39.99 when purchased as a bundle. Renters insurance averages $20.00 per month. Cozy Rent Estimates cost $19.99 per report. Express Payouts are charged at $2.99 per unit per month. Card Payments will incur a service fee of 2.75% per transaction. Pros: Reliable online rent collection and fantastic tenant screening. Cons: Customer support needs improvement. Bottomline: Excellent tool for managing rental properties. Is there a Cozy free trial? A demo is available here. You will need to furnish some personal and business details. No credit card is required. Where can I find the Cozy login? You can go to https://cozy.co/ and find the “Login” at the top right corner of the homepage. What are some Cozy alternatives? Overall, both me and my tenant are pleased with our Cozy Property Management experiment. 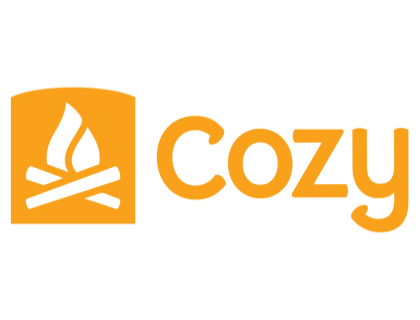 If you are considering a free online property management system, I highly recommend giving Cozy a test. My experience with Cozy has been great. It’s taken out a lot of the paperwork, footwork, and just plain work, from vetting tenants and accepting payments.